Starting September 14, The Sum of All Thrills and StormStruck will no longer be available at INNOVENTIONS East at Epcot due to the fact that the sponsorship agreements between Raytheon (the company that sponsored The Sum of All Thrills), FLASH (which has been sponsoring StormStruck for a long time), and the Walt Disney World Resort have reached an end. Guests will still be able to enjoy Colortopia. Future plans for this area will be shared at a later date. Also beginning on that same date, Walt Disney World Passholders will be able to pick up their commemorative Epcot International Food & Wine Festival tumbler at Innoventions East. 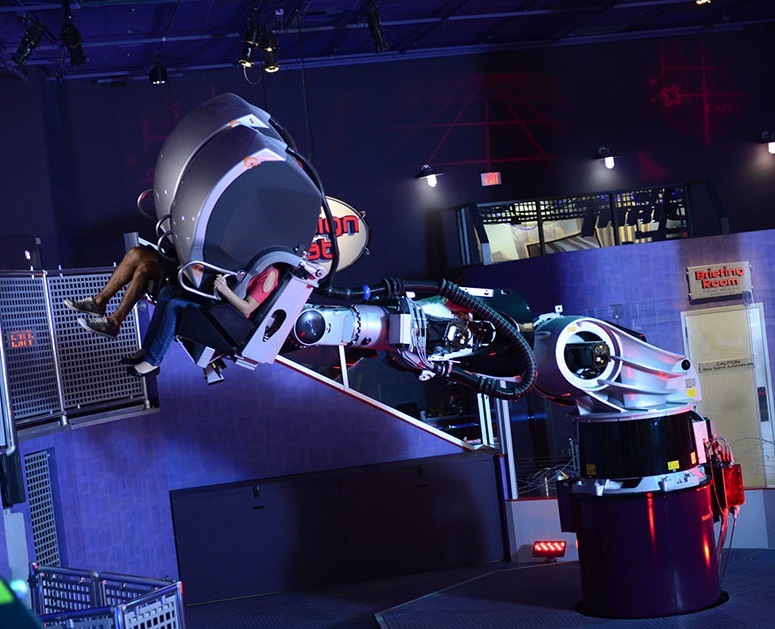 The Sum of all Thrills is a unique experience that lets park guests custom-design their own thrill ride using mathematical tools, an innovative touch-screen table and a robotic simulator. 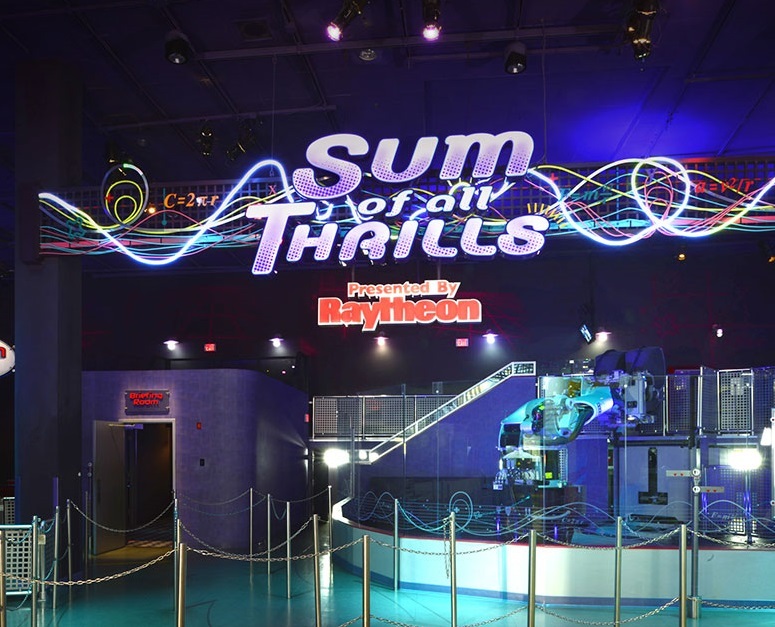 As the first ride to be located within INNOVENTIONS at Epcot, The Sum of all Thrills was the latest example of Raytheon’s innovative approach to help educate and inspire young students about the power of math and math-related activities. Interactive and customizable, The Sum of all Thrills lets guests of all ages create their own experience by first choosing a ride theme, including a roller coaster, bobsled or jet plane. Using multi-touch, object recognition tables with instructions available in six languages, guests use math and engineering based tools, such as rulers and speed dials, to design and customize their ride by adding corkscrews, inversions or steep hills. Guests learn and apply mathematical and engineering principles to determine how much energy is needed for a jet to take off or for a roller coaster or bobsled to make it up its first climb. When the design of the ride is complete, it is saved on a personal card with a unique bar code. The card is then utilized to allow each guest to experience their custom ride from beginning to end on the robotic KUKA RoboSim 4-D simulator. Inside the simulator, guests experience their ride on immersive high definition video combined with stereo sound and controlled air motion for a complete sensory experience. The KUKA RoboSim 4-D simulator creates a four-dimensional experience through 3-D robotic motion and “wind” that controls air movement to stimulate the senses, providing a more realistic simulation experience. There's a bigger building vacant and they haven't done anything with that one..probably the same here. Epcot just isn't the same anymore. Now I have to go to Universal to ride a Kuka arm with Harry Potter. I hope that they improve this area in the original vision of Epcot like how making the Mexico ride a Donald Duck cartoon and turning Norway into a Frozen gift shop kept the park vision. My hope is that they add a character meet and greet that is an extra add on like those amazing $99 parade and firework viewing packages. Hopefully they add a VR experience that's lets people experience the original Epcot before Disney sold out and jumped the shark. Very true. Wonders of Life is rarely used. Given the recent rumors about Universe of Energy being replaced, perhaps Epcot is poised to make an investment in Future World as is now happening at DAK and DHS and has already happened a MK. My primary fear is that they just put movie-themed crap in Future World and turn it into Universal Studios II - The Sequel. We REALLY don't need that. Let's hope there are some ORIGINAL attractions.